I’ve decided to start blogging about the Weddings and Events industries, as opposed to just the Interior Design sector. This is mainly because my 3D Visualisation service caters primarily to all three of these markets. I’m no ‘Fronk’, and I certainly don’t have the experience and expertise to design a wedding scheme, but I’m quite design savvy, having a background in Interior Design. And when you have design skills, they can usually be applied to various industries, so I hope I’ve done a good job! So, with Spring tapping on our shoulder, I’ve decided to create a photo-real 3D Visual of a Spring wedding reception, taking inspiration from some of the current wedding trends for 2016. I did a little bit of research before undertaking this personal project and found the weddings trend report by The Wedding Planning Academy to be a great source of inspiration. Let’s take a look at my super-duper Spring wedding design! Click on the image to feast your eyes on all the glorious details! For this 3D visual, I’m focusing on wedding table decor and floral arrangements. I’ve decided that it would be very fitting (considering the season) to have this wedding reception in a marquee setting (seriously though, how whimsical and romantic is the festoon lighting?!). Firstly, I wanted a casual vibe, so the Mason jars were an instant hit. They have been SUPER popular within the last few years for weddings, I’m hearing whispers that they may be on their way out but I’m not convinced. I’m not overly concerned whether they are still on trend or not – I love them and was determined to include these in my scene. Mason jars add little pockets of charm and are supremely apt for a Spring wedding. Vintage injections are still huge in the weddings game, so I’ve used vintage lace on the Mason jars and opted for a very soft, vintage colour for the rose. Using a ‘tone on tone’ colour palette (the rose, ribbon and napkins) adds an element of elegance to this wedding design and retains a little bit of grounding, especially with the more quirky elements. 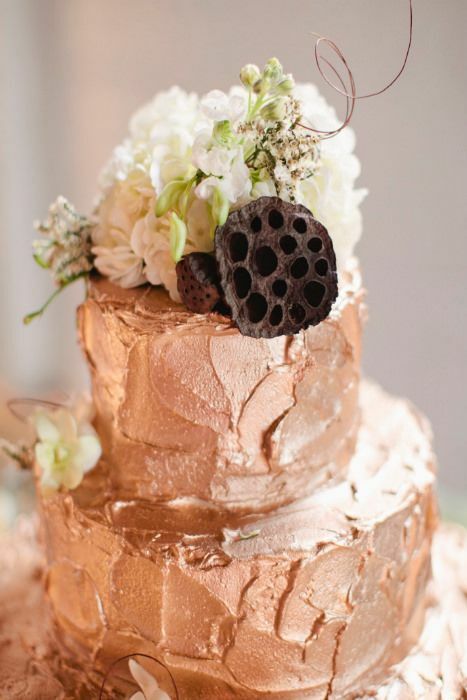 Metallics are HUGE this year for wedding decor and rightly so – they are bang on trend for the Interiors industry, so there’s no reason why they can’t be incorporated into a wedding reception too. The ribbon on the Mason jar has a lovely metallic sheen, the candleholders are a distressed, bronze and the rose gold (massive, MASSIVE for weddings!! ), cutlery and wine glasses are absolutely beautiful. Rose gold appeals to me because of its similarity to copper. A very rich and distinguished choice! Plus, the rose gold and slate are a winning combination due to the sharp contrast they provide. EYE CANDY, for sure! Speaking of slate, natural and rustic materials are also big favourites for weddings this year. I used slate as a serving plate but the pièce de résistance HAS to be the names of the guests written in chalk! As soon as I clapped eyes on this idea via Want That Wedding, I knew I wanted to incorporate it into my scene. It completely reinforces the casual vibe of this wedding AND it’s so quirky! Love, love, love! The use of bark is extremely on trend too at the minute, particularly with outdoor weddings, so I’ve included a cosmic bark tealight holder. The peeps at Weddings With Ease UK gave me inspiration to include bark accessories. Like interiors, texture is so important when it comes to creating visual interest. Wedding decor is no different. So using bark, is ideal for punctuations of strong visual texture. 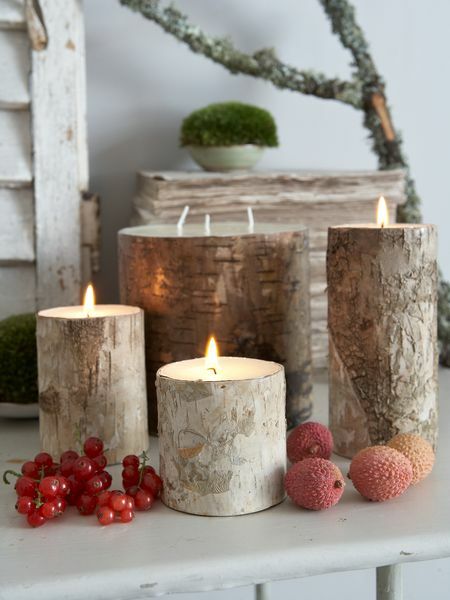 Nordic House sell some beautiful bark candle holders! Click here to read more! I think including a little bit of quirky into a wedding reception, is a MUST. It means that your styling will be so much more memorable and for all the RIGHT reasons! It’s easy to get carried away though, so make sure you reign yourself in, if you find your wedding decor becoming a little too ‘themed’. There’s a fine line, people! The Mason jar being propped up by books is genius for two reasons: it injects that quirky value but it also adds height to the table. Having items at varying heights is super important because it prevents the table from looking flat and one dimensional. It’s the same for interiors: layering and adding height keeps things visually stimulating! I also grouped the Mason jar, smoked glass candle holder and bark candle holder together – this is a little design trick! Grouping items (particularly in 3’s) is a great way to add depth and visual interest to any display. Finally, I added floral fabric, courtesy of Romo, to underpin that fresh, Spring vibe. To keep costs down, you could use this on the ‘top table’ only. I have to say, it really does add so much romanticism to the whole design. I’ve added pops of colour to this wedding scheme, with an accent of orange (I’m a huge fan of orange). 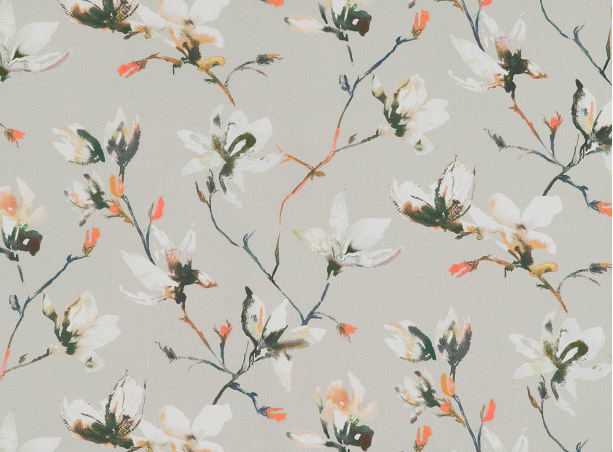 The orange accents in this floral fabric also help to pull the whole design together. I really enjoyed putting together my first wedding design scheme, using the power of 3D Visualisation! I hope you enjoyed it too! If you have any great ideas for a Spring wedding, feel free to drop a comment below! To stay up to date with all the goings on around here, sign up to our newsletter! I think you have found your calling! Stunning! Anita Brown weddings??? Thanks for your comment – please feel free to leave a link to your website, so that I can see your lovely candles!